Researchers at the Department of Food Science at the University of Copenhagen are searching for the best method for fermenting apple wine using wild fermentation. The research involves mapping different kinds of wild yeast from a wide variety of old Danish apple varieties for the first time. The work will help to preserve the Danish apple orchards by upgrading the flavour of the apple wine and thus the value for consumers so that the growers can earn more on the apples. In short, it is about producing the most exquisite apple wine for a fastidious public, but following a recipe that at the same time allows you to produce without excessive waste due to the fermentation processes going wrong. The wine should be produced as naturally as possible, which is why the researchers are using wild yeast - that is, yeast that grows naturally on apples, in order to develop a stable yeast that can provide good taste and aroma in the wine every time. “In Denmark, we have many different kinds of apples that taste fantastic, because we have some excellent natural growing conditions for apple production. In addition, we have extensive knowledge of fermentation, so I very much hope that we can create a tradition of apple wines of a very high quality that compete internationally with grape wine – this project will help make that possible,” says Associate Professor Nils Arneborg from the Department of Food Science (FOOD) at the University of Copenhagen. At FOOD, the researchers involved are experimenting with taste, aroma and fermentation to find a recipe that raise the quality of alcoholic apple drinks through the roof. Fermentation of apple wine. Picture: Camilla de Leon. “The goal is to find out what makes the difference between good and bad wines. We simply make some wine – initiate some fermentations – taste them and then examine which aroma and taste substances are in the good wine and in the bad. The same goes for the yeast, where we also look to see what kind of variations there are,” says Nils Arneborg. Nils Arneborg’s part of the project is to find out which types of yeast are found naturally on apples and which of these can add the best taste and smell to the apple wine. In Denmark, there is no great tradition for making wine using spontaneous fermentation, as it quite often goes wrong. And it is precisely in order to control the spontaneous fermentation that the researchers have to analyse which types of yeast are among the wild yeast. “The research will enable us to take the yeasts that we have developed based on the spontaneously fermented wines and use them as starter cultures. Thus, we hope that wine producers will be able to better control the fermentation process and that their products will achieve a higher quality. The yeasts that we identify will be well adapted to Danish conditions – developed from apples that grow in our climate and have the taste that is typical for the region,” says Nils Arneborg. Since the yeast in question is mostly likely carried around by insects, you cannot immediately say that the wild yeast from the apples will be perfect for apple wine. “But it is our hypothesis that the yeasts we find will be better, because they originate from the apple’s natural environment and not from entirely different environments from other parts of the world,” says Nils Arneborg. 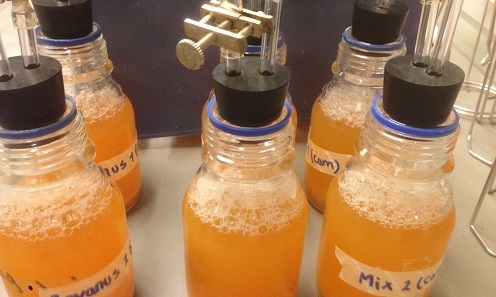 When the work is completed next year, the researchers hope to be left with one or more unique apple yeasts that can be used to make amazing apple wine. “A few years ago we isolated and characterised yeast from Danish grapes – yeast we used to make really great wine made from grapes. Many do not think we are particularly good at making wine in Denmark, but it turns out that we are able to make very good wine with the raw materials we have. We believe the same is true for apples,” says Nils Arneborg. The researchers are also working to create a particularly strong and flavourful wine using cryo-concentration, where you freeze apple juice and then tap the juice as it slowly thaws. During thawing, sugar, flavours and fragrances are the first to run off, so a more tasteless clump is left behind and is not included in the production. 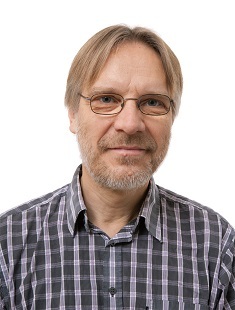 Associate Professor Mikael Agerlin-Petersen from FOOD. “So you get an apple juice with much more flavour and which can be fermented to something reminiscent of white wine in terms of alcohol content – or even liqueur. Apple wine has traditionally not been regarded as a quality wine, but using cryo-concentration you can make some very different types of wine, including sparkling wines that have some amazing flavour characteristics,” says Associate Professor Mikael Agerlin Petersen, who is working to define the various constituents of the apples and yeast using gas chromatography combined with mass spectrometry (GC-MS) (see box). The researchers have already identified some exciting flavours and yeasts, but are lacking some of the analyses. “In 2017, we want to be able to say how taste and smell are linked to the yeasts that we have used. We also want to come up with some production methods that could be used by companies that produce wine for players within gastronomy and also for the general consumer. We do not have many manufacturers of apple wine right now, but the work here can hopefully form the basis for making more high quality apple wine in Denmark, just like we have seen many new microbreweries in recent years that brew some really great beer,” says Nils Arneborg. Stabilising the wild yeast in order to avoid the many waste productions where the apples are waisted because it is very difficult to control the fermentation processes with wild yeast. Using natural methods to produce wine of a very high quality, so that the apples benefit both gastronomic companies and the ordinary consumer. NatVin is concerned with the development of natural fruit wines and fruit wine culture in Denmark. The project will determine which heritage apple varieties have the most interesting flavour and aroma characteristics in relation to the production of apple wine. This is essential as it takes between 5 and 10 years from the time new trees are planted until a bottle of finished wine can be sold. 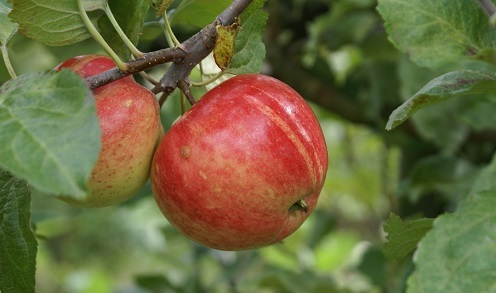 The project’s hypothesis is that you can grow apples and produce fruit wine in a way that is much more sustainable than the production of apples for direct consumption, both because of fertilizer methods and because apples that would be discarded for cosmetic reasons can easily be used for wine without affecting the quality. The project, which runs from January 2014 until December 2017, is supported by the Ministry of Environment and Food’s GUDP-programme (Green Development and Demonstration Programme). The Department of Food Science at the University of Copenhagen (UCPH) is one of the collaboration partners in the project. Participants from the department include Associate Professor Nils Arneborg, Associate Professor Mikael Agerlin Petersen and Associate Professor Dennis Sandris Nielsen. 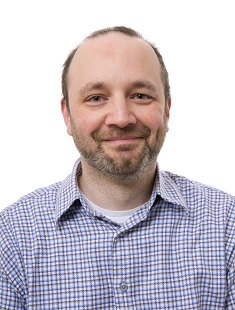 The project is led by Associate Professor Torben Toldam-Andersen from the Department of Plant and Environmental Science (also UCPH). Cold Hand Winery, Horn Cider, fruit grower Flemming Jørgensen and FOSS. Aroma will be examined using gas chromatography combined with mass spectrometry (GC-MS). Flavours will be measured using FTIR spectroscopy (Fourier Transform Infra Red), ion chromatography (IC) and high-pressure liquid chromatography (HPLC). These methods give complex data that require interpretation with multivariate data analysis techniques (chemometrics) in order for it to be related to wine quality.